The gold and white BlackBerry Q10 Special Edition is only being released to select markets , with retail prices starting from $1035. Few pieces have only been released and are only available in Dubai Mall at the official Blackberry retail store . 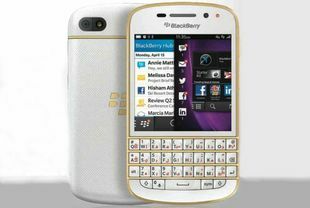 The new Blackberry come with a gold coloured stainless steel frame . The special edition smartphone will also feature exclusive range of unique PIN numbers.